To be honest, I wasn’t that into horses as a kid. Some of my friends were, and I joined in when they pretended to ‘canter’ around their gardens. And I did like the noise my ‘Sunday’ shoes made when playing on gravel but like I said, I wasn’t particularly into horses. As for hobby horses, well. You can still get a (probably safer!) version if you look for them but, well… It’s basically a big stick isn’t it? Especially the old version (the newer ones often have wheels, which is probably better)… Back in the day, I did appreciate the craftsmanship that went into the head but that stick was just asking for trouble. Dismount without checking whether anyone’s behind you and you’d have someone’s eye out! So, one afternoon earlier this month, I was scrolling through my twitter feed when I saw that Ellen Clarke was looking for bloggers to review her new toy. ‘Nah,’ I said out loud. Mushroom (who had been watching TV while I worked), asked, ‘What you looking at?’ So I showed him. ‘Is that my present?’ He asked, excited. He was expecting something from an Uncle that hadn’t yet arrived. ‘No.’ I told him. ‘Do you like it?’ He grinned. ‘Yes please!’ So I contacted Ellen and said we’d like to try one! Ellen was inspired to create My Horse by her sons, who were always running around and bumping into things when they were younger, so it was designed with safety in mind. 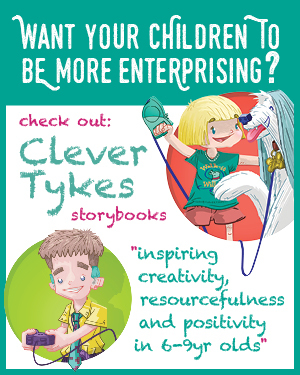 If you think about it, it’s basically a cuddly toy that you wear, which of course helps to encourage imaginative play. The material is soft and the mane and tail are very tactile, which really appealed to Mushroom. The sizes start at small (age 3 – 6) and goes up to large (aged 10-adult, in case you’d like to play yourself!). When it arrived, Mushroom immediately christened it ‘My Horsey Horse!’ and wanted to ‘wear him’ straight away. At first, we weren’t sure how to use the enclosed ‘jumps’ but we figured it out in the end. We have taken Horsey Horse to the playground, the park and even a friend’s house. Sometimes I’m allowed to stroke his tail but never his mane. Mushroom seems to find the mane a great comfort for some reason. I’m still not sold on horse toys myself but Mushroom loves it. It’s a good quality toy, with my only recommendation to improve it further being to add velcro to the rosette so that you can actually stick it on the horse. We’ve already had a few people ask us where we got him when we’re out and about so there is clearly a market for it! If you would like to get your hands on one, head to myhorsetm.com to find out what options there are (from a standard horse like Mushroom’s to seasonal additions like reindeer antlers, jockey and medieval costumes and even unicorns!). Prices start at £14.99 for a standard small horse. 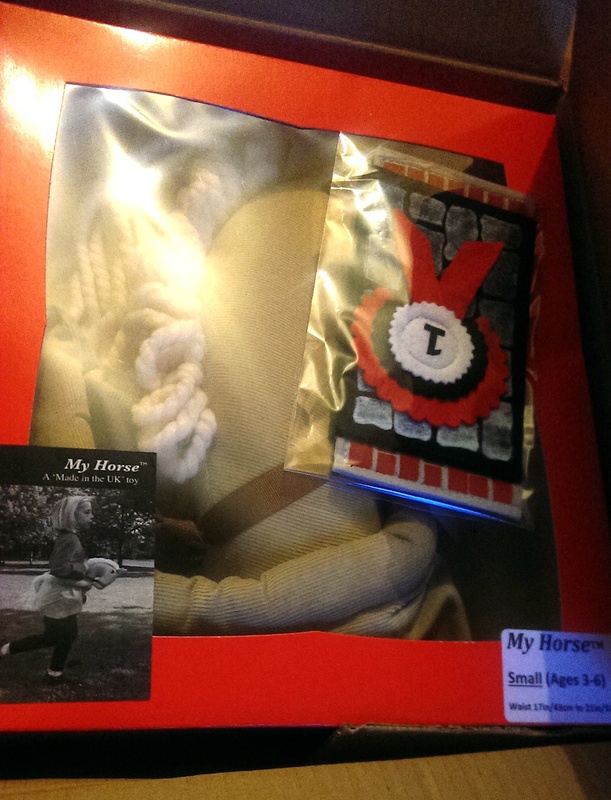 Disclosure: We received a My Horse toy for the purposes of this review. As always, all opinions are our own. Read my full PR and disclosure policy here. I do remember those horse toys though I don’t think I ever had one! That’s always the trouble with sticks, isn’t it? You end up poking someone or smacking them in the head. I think the stick though still can’t be beat—nothing like feeling like you’re actually riding a pretend horse. Still, I’m sure this one is safer. Haha, yes! Mushroom does play with (considerably smaller!) 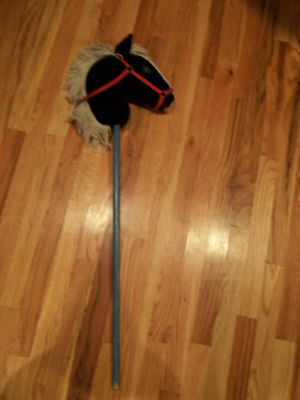 sticks all the time but I’d never thought of buying a hobby horse – maybe because it just wasn’t my thing. He loves his Horsey Horse though, and it’s handy – we’ve even used it as a pillow! I love that it fits into my bag too.